Before the internet, I used to do most of my browsing in the aisles of great bookstores like our neighborhood Barnes & Noble on Austin St.
More recently, that activity has been replaced by browsing of the digital kind, for instance on my Kindle. But now comes word that the enormous Barnes & Noble at Lincoln Square in Manhattan is closing and will become a Century 21 store. A Century 21 store???! I have so many wonderful memories of that gigantic bookstore, pretty much from the time it opened. I remember how excited I was every time I went there. It was a great place to just while away a lazy afternoon, cracking open one book after another, never knowing what I would discover next. Now that will be replaced by bargain clothing. How exciting. I am all for progress. And I absolutely love my Kindle. I end pretty much every day clicking away on the thing. 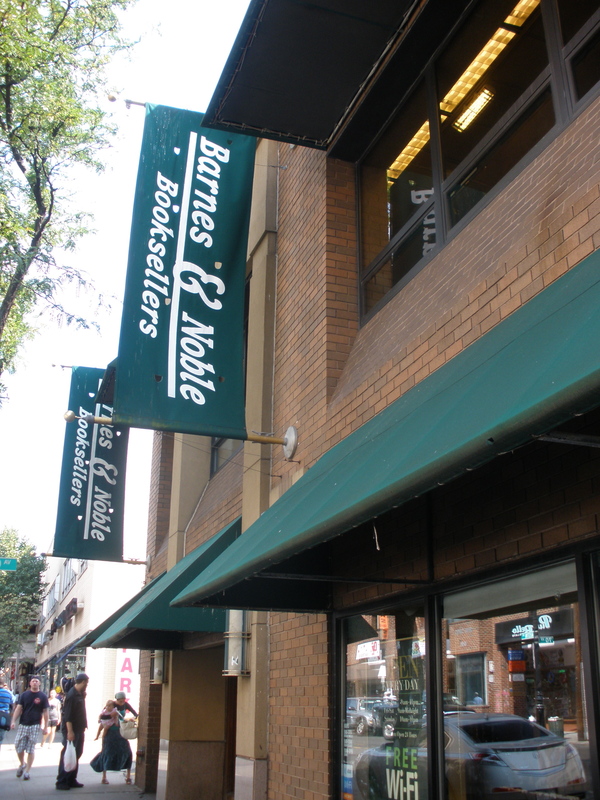 But I will definitely miss that wonderful Barnes & Noble at Lincoln Square. And I truly hope our store here on Austin isn’t next. I remember when I discovered last year that suddenly all the Virgin Megastores in the City had closed. That was bad, but it was more like an incovenience level-bad, an annoyance. Ever since I was a teenager and had a few hours to spare, I’d jump in the car and head on over to my nearest bookstore, usually a B&N and, oftentimes a steaming Starbucks in hand, meander through the aisles. I haven’t done it in a while actually, since, like I said, I can now carry my bookstore with me wherever I go thanks to my Kindle. But just knowing that I soon might never be able to do it ever again, makes me want to more than ever.